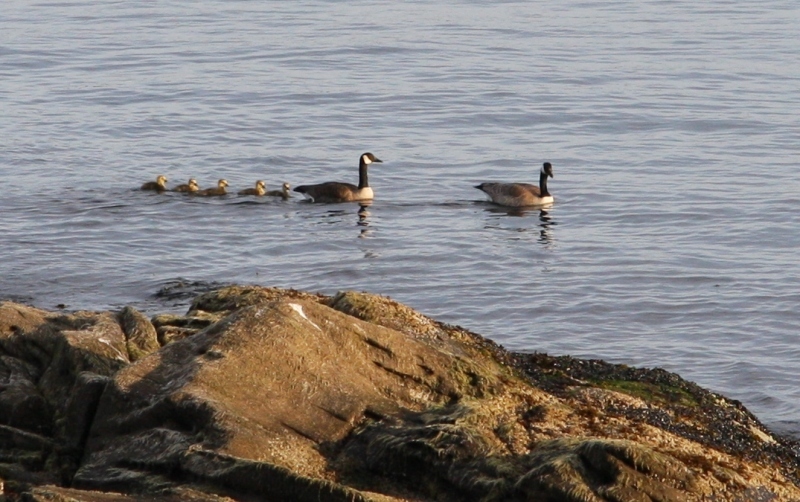 I happened to see a family of Canada Geese going for an early morning dip in Georgia Strait at Georgina Point on Mayne Island… would you like to join them? Time for our morning swim everyone! Don't worry we will show you how it is done. Keep an eye out for junior. Well, I think they have it figured out. Oops! There they go again...If you're not careful you are going to be eagle breakfast! Everyone look right... that's it, beautiful! 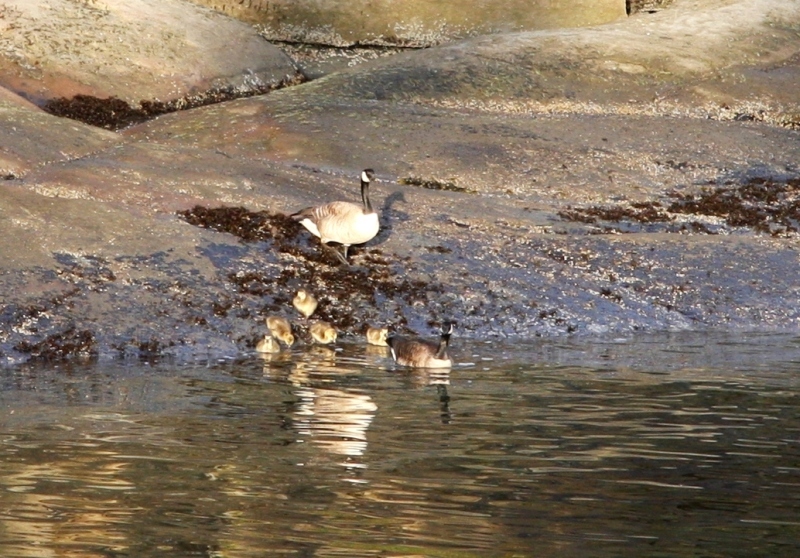 I could hear the goslings’ little peeping voices as they swam along. And the eagle flew off to see if he couldn’t find a salmon for a morning snack but he sure watched closely before giving up on a small goose feed. Sprout Question: If you were to take your creativity for a swimming lesson where would it be? Bonus: Hatchlings are covered with yellowish down and their eyes are open. They leave the nest when 1-2 days old, depending on weather, and can walk, swim, feed, and even dive. 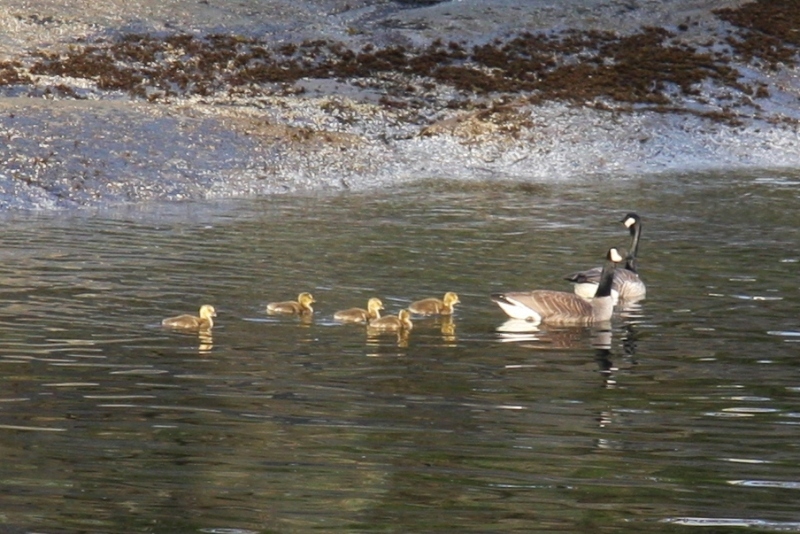 The mother goose leads the way on the first family swim and the father goose takes up the rear. 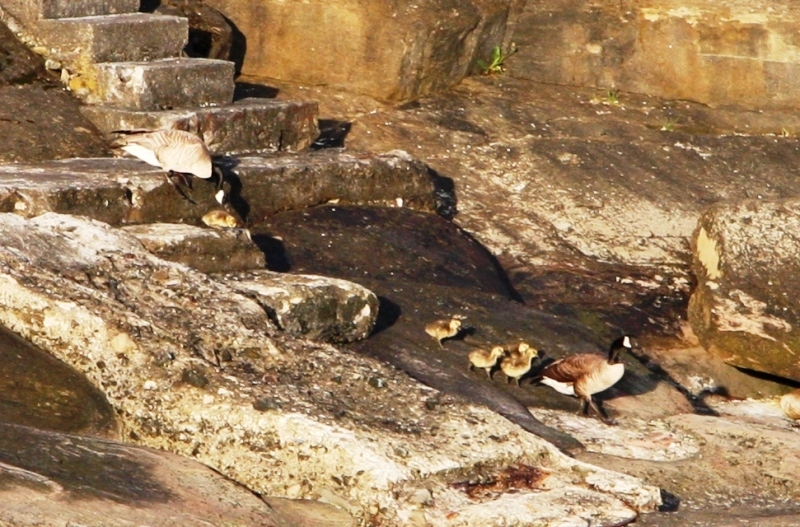 Young Canada Geese or goslings grow so quickly that they are virtually indistinguishable from adults in only about nine weeks. With a lifespan of up to twenty-five years, the oldest known wild Canada Goose was 30 years 4 months old. They mate for life with very low “divorce rates,” and pairs remain together throughout the year. Geese mate “assortatively,” larger birds choosing larger mates and smaller ones choosing smaller mates; in a given pair, the male is usually larger than the female. References – mostly http://www.allaboutbirds.org/guide/Canada_Goose/lifehistory and a few other brief stops on a googling wild goose chase. Terrill – What a joy-filled post with great photographs of the adorable goslings. The last photo looks like they were actually posing for you! 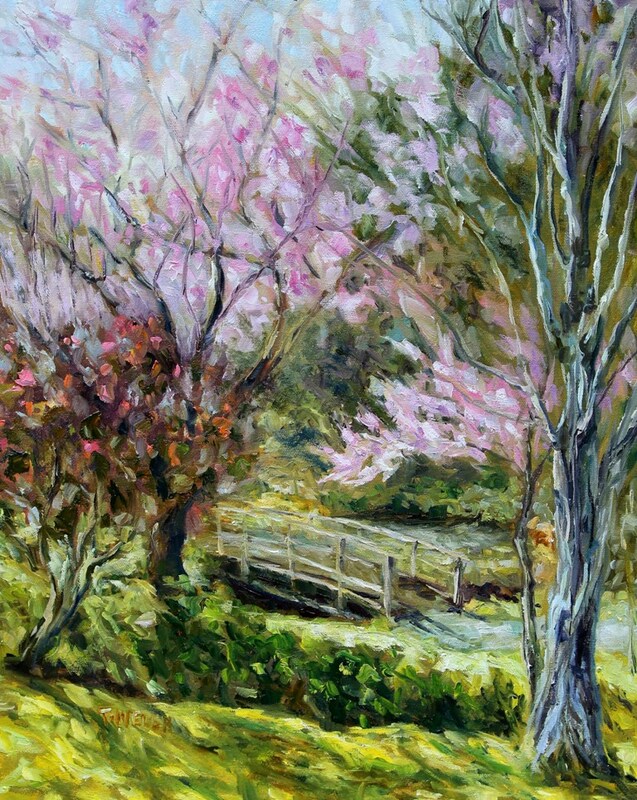 Laurie thank you. This last round of wildlife photos has again inspired me to get a telephoto lens for my camera as I am working with a 17-85mm and I need a 300mm to take these kinds of photos without getting inside the animal or bird’s comfort zone. Though the geese knew I was there, I had to move very slowly and quietly to get these photos. And Laurie I like your sprout response! 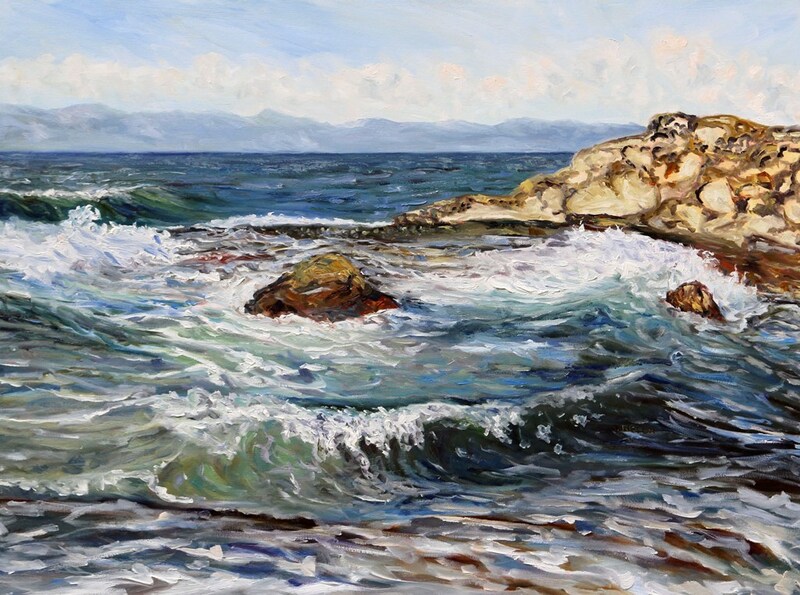 A lot – The Pacific Ocean here at the Southern Gulf Islands is cold enough to wake up every creative cell in your body:) So anytime you want to bring a bedroll and a beach towel I will have the tea pot on – I might even make you dinner on the wood cook stove and we can tell tales by the fire until our eyes get sleepy. When you wake up there is a perfect piece of grass outside to do your Tia Chi. Now for the reset of the goose story. 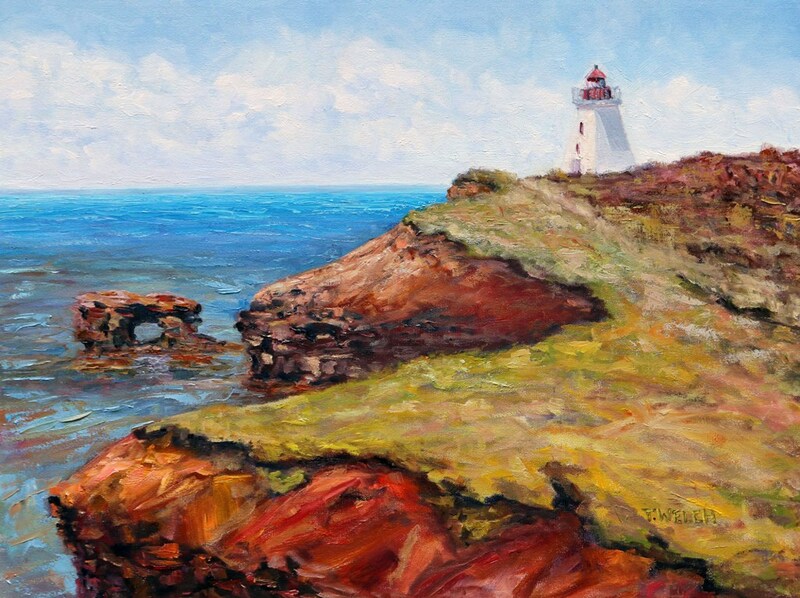 I was there on that particular dawn because the night before we had seen two big sea lions lazy on the rocks close to shore and unfortunately I didn’t have my camera. So I slipped back hoping I would catch them before they went back into the sea… no sea lions. 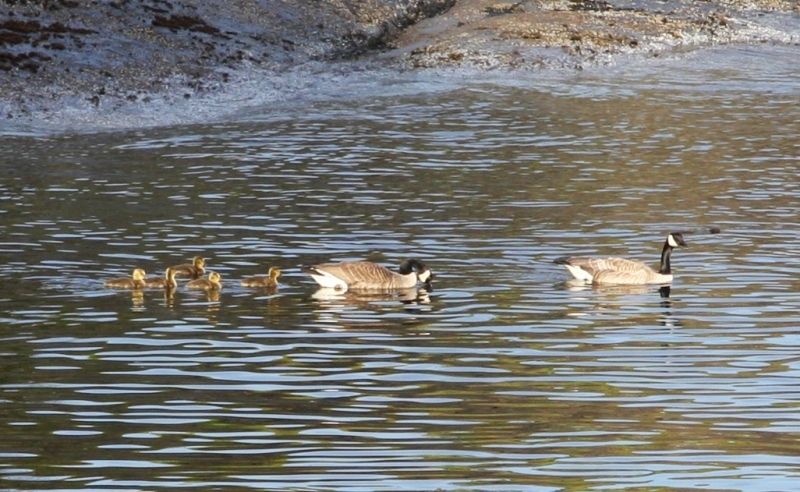 But as I turned my head that is when I saw the Canada geese family making their way quickly to the water. Just then the eagle flew over head and landed to watch with as much interest as me except he was looking to fill his belly. Is it wrong that there are tears in my eyes while looking at these darlings?…can’t hide it I’m a softie. I can’t get over the fact that as a day care caregiver I walked exactly in this fashion with the children in my care. I gasped looking at that eagle! He better stay away from “our” goslings! If I could take my creativity on a swimming lesson…hmmm….my first thought wasn’t about going somewhere else. It was about trying new things. I guess I would like to try making a journal or more cards using collages, natural items, visual images. I always WANT to do this…but rarely can get over the hump of actually doing this. Someone needs to push me in the water! I know Kathy. When I saw that eagle I was so nervous that the parents wouldn’t get them all into the water before the eagle found an easy meal. 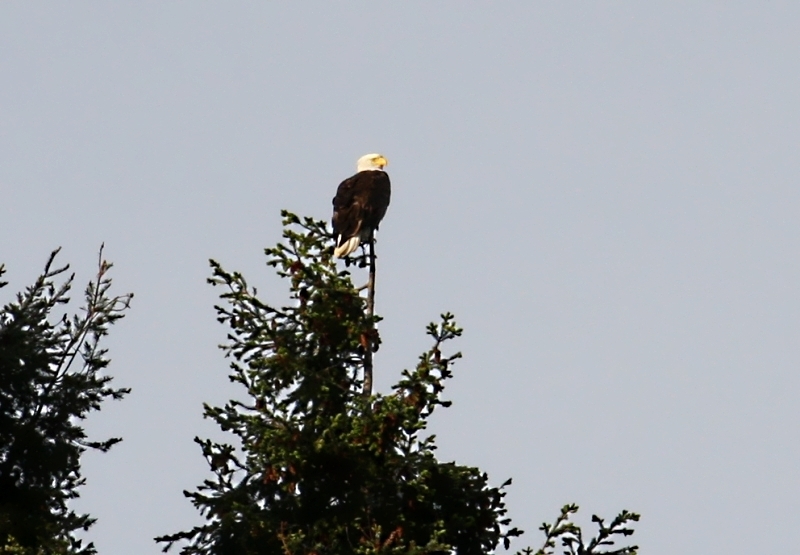 But they did and the eagle kept his distance – though close by. Did you hear that everyone? Kathy is looking for a nudge into the water. Here is your push Kathy… Specifically, when can you have a work-in-progress posted to share with us? Judging from your blog, once you get started, completing seems to take care of itself. But if I’ve misjudged, then once you post the work-in-progress, let us know when you expect to complete the work. Hint: Time-lines can be adjusted. Most days, it doesn’t really matter if we meet our target time-line, but it does matter that we set them. Because if we set a time-line we always get farther than if we didn’t set one. Make sure that the time-line is doable and broken down into a small enough step that you can imagine achieving the result. 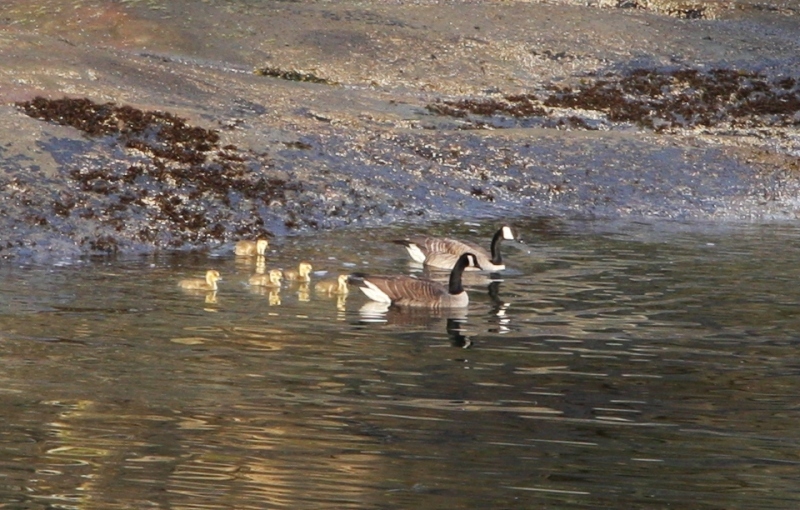 Love absolutely love the goslings…..Thanks so much. The closest thing around here to that is four or five cars stoping to let a Geese Family cross the road in front of a department store! I saw it the other day in front of Lowe’s her in Lake in the Hills. As for the sprout question? First thing I thought of was the sayign my dad used to say! Sink or Swim…..Then I saw Lauries comment and said to myself how perfect! There would be a whole different perception where creativity can take on a whole new life by itself. I have a big tea pot Kim and lots of floor space for a bedroll… so the more the merrier. 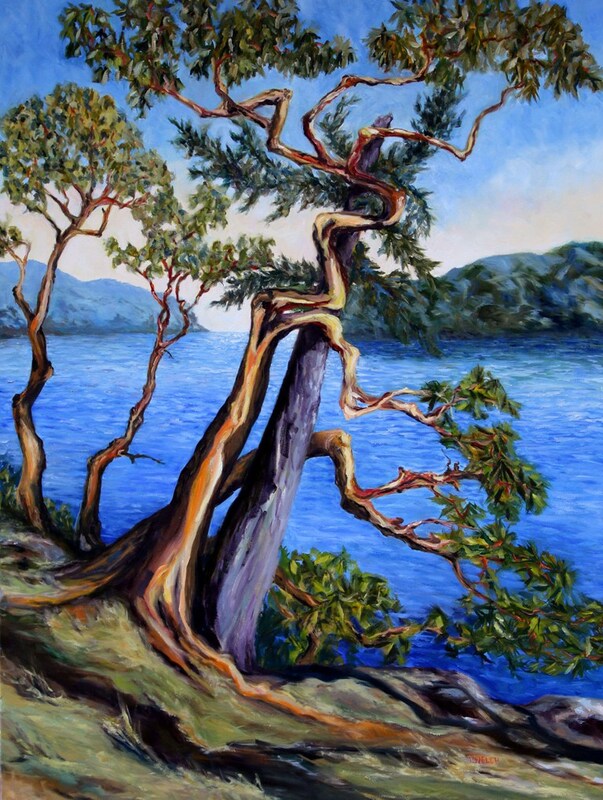 Mayne Island is a wonderfully inspiring place for those connected to land, sky and sea… my creativity flows with an ease I have seldom experienced elsewhere. Yet, there is magic, abundance and mystery most places… it is simply a joy to wake up and see what might become of the day. 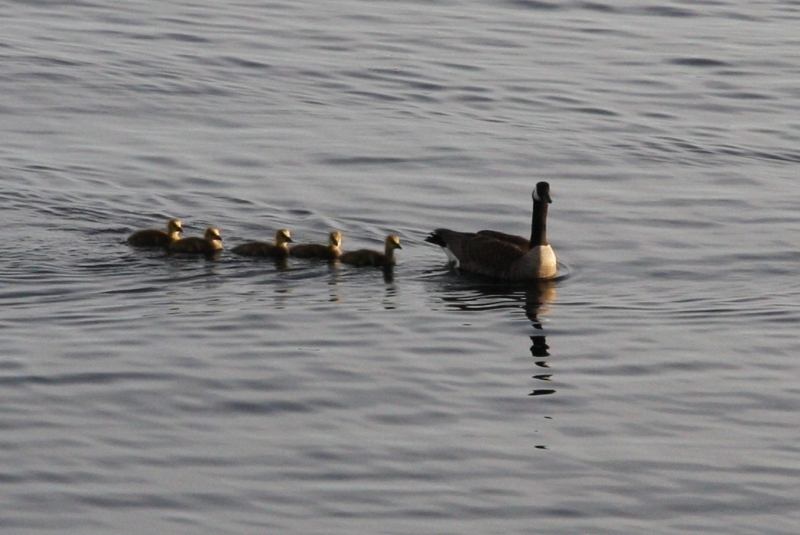 Terrill, I loved the pictures of the goose family walk! 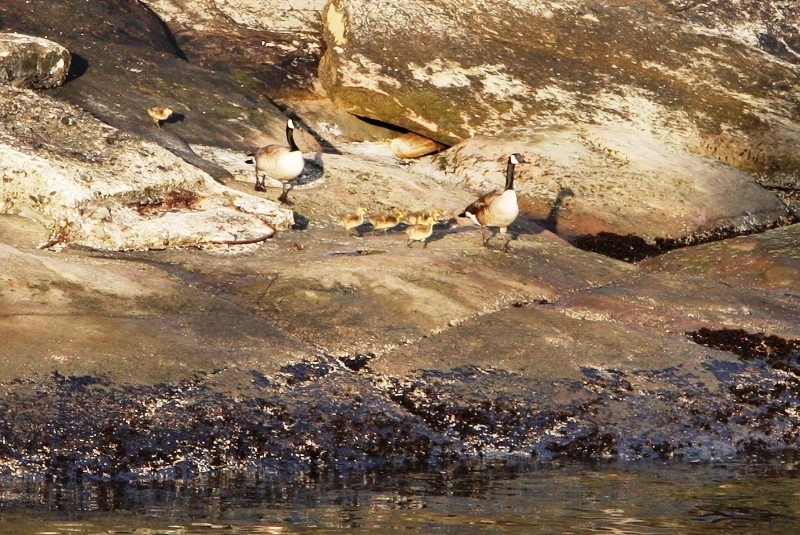 They inspired me to dig out and re-post a blog I wrote last year (on Gaia) about the Canada geese families we have here. Over this past winter my sister and I were taking a walk by the sound when suddenly we saw a very long line of Canada geese, perhaps about 30 of them, start coming up out of the water and over a rise and down toward us, slipping and sliding on an ice covered flat patch of boulder protruding a little from the ground. They looked like they were playing follow the leader. Bringing up the rear and straggling a bit was one who appeared to be lame. When he got to the rock he hesitated a minute and then apparently decided the heck with trying to walk on that. He started flying and landed right at the front of the line! Of course Beverly and I were spellbound and I was kicking myself for not having brought my camera! 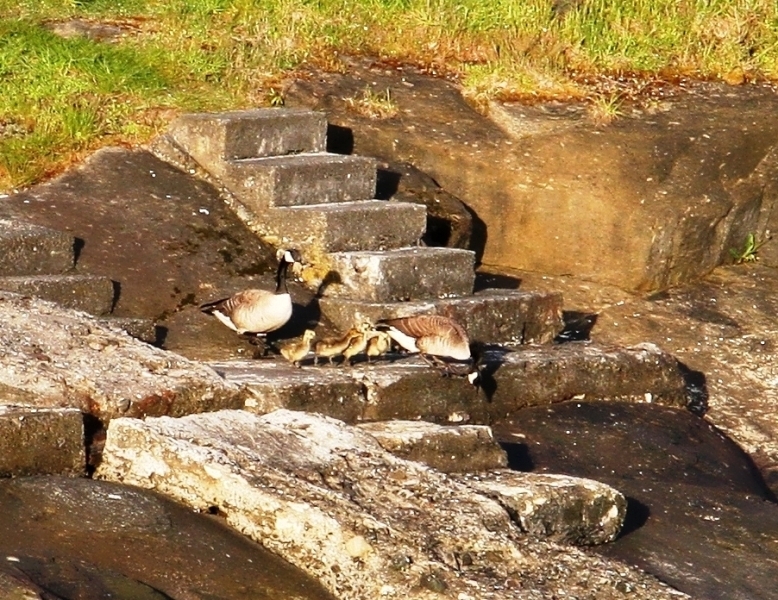 Barbara it was great fun to slip over to your blog this morning and read your re-post about the Canada geese family. And a great tale for last winter as well. Thank you for your sprout response… I would like to take my creativity for a swim in Norway as well. My grandmother was born in Oslo though her family moved to Canada when she was about six years old. Delightful picture parade here of a breed of animal that we have here in abundance on the east coast. A local county park in fact, just minutes from my home is “infested” with this benign species, and I always get a thrilled watching them cross in schools across roads, where ever-respectful drivers, hold down their brakes as they pass by in all their majesty. I must say I can appreciate Barbara’s ‘follow the leader’ scenario, as it unfolds over here as well. I’m afraid I’ll need quite a bit more than ‘creativity’ when the thought of swimming is pondered, as I’m never succeeded due to some awkward coordination. I ‘wade.’ Ha! Geese have become a problem in many situations such as airports and park ponds. But they are extremely bright for birds and I enjoy their sounds and comments on the season. If you were to take your creativity for a swimming lesson where would it be? It would be definitely in the deep end. i think where creativity is concerned jumping in with both feet is the place you need to be. There are more opportunities to learn from your mistakes when you commit to something whole heartily. Jerry I am laughing out loud because I so agree. When we jump in at the deep end, we are less likely to hit the edit button too soon and we have less of chance to self- sabotage with negative self talk… you are in – over your head… so you creatively swim from a place of pure instinct gradually building your stroke, your style and your skill. Besides the creative pool is less crowded at the deep end so there is more room to practice. However, there are those of us, like Sam, who find ourselves wadding out of necessity. 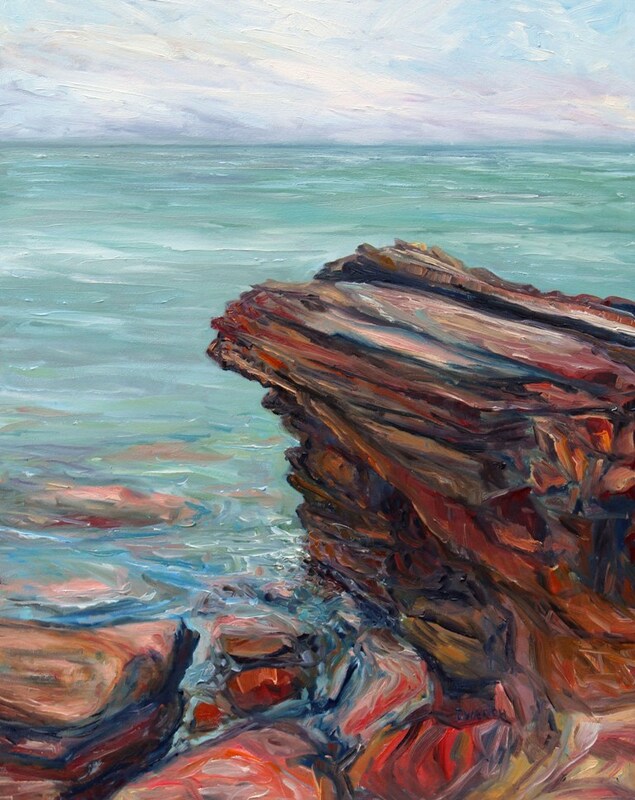 In this situation I think there is a different challenge – how do I indulge my creativity as if I’m in the deep end when the water is only up to my knees? I don’t have the answer but I like the question because it applies to so many aspects of living where the situation is less than ideal and we feel compelled to push forward anyway. We just got back from skipping rocks at our local river and saw some of your subject’s cousins getting ready for a swim. On your question, my grandfather used to let his dogs to swim by pushing them into the water from his houseboat (they all could not get enough of the water after the initial fear was behind them). So, I would want my creative experience to be the same–just throw me into the water and let me start paddling. Ahhh you are a brave person Sam. I still like to ease into the water from the edge rather than jump. I don’t have to touch bottom and I’m happy in the deep end and even swimming in moving water such as a river (lots of practice) but I like to get my bearings in my own way. So glad you saw some of the little “subject’s cousins getting ready for a swim. Thank you Sam for coming by and sharing part of your day and your sprout response. 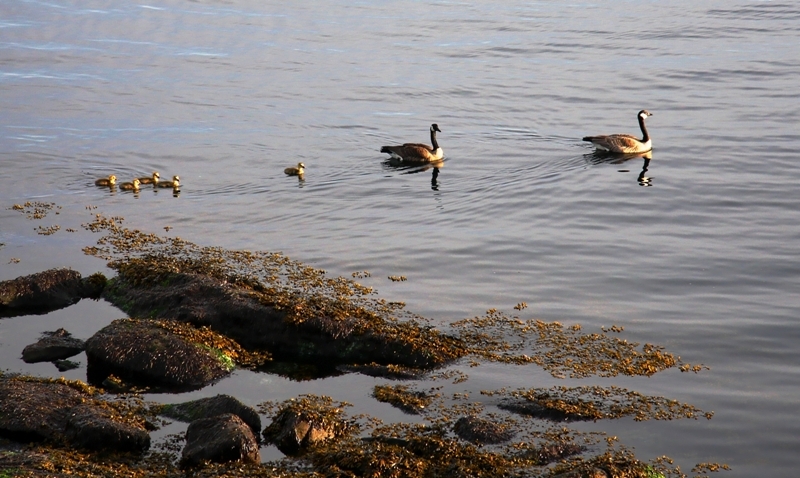 Sweet Photographs of the Geese family! We use to have thousands of them land in the beaver ponds at Easton Mountain, each spring and fall. Yet only one family would stay to give birth among he reeds, and wild grasses. I think I have just jumped into the deep end or am swimming in the direction, with the second place win of my Photograph “The Kiss”, at the Annual Juried Art Show Exhibit in Philadelphia, Pa. 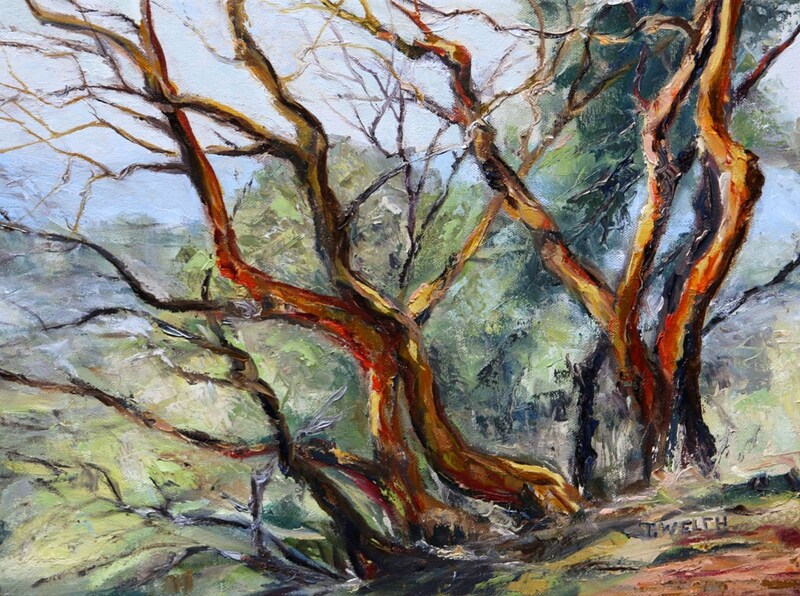 Which entitles me to a share show with two other winners, all photographers, with ten new pieces. 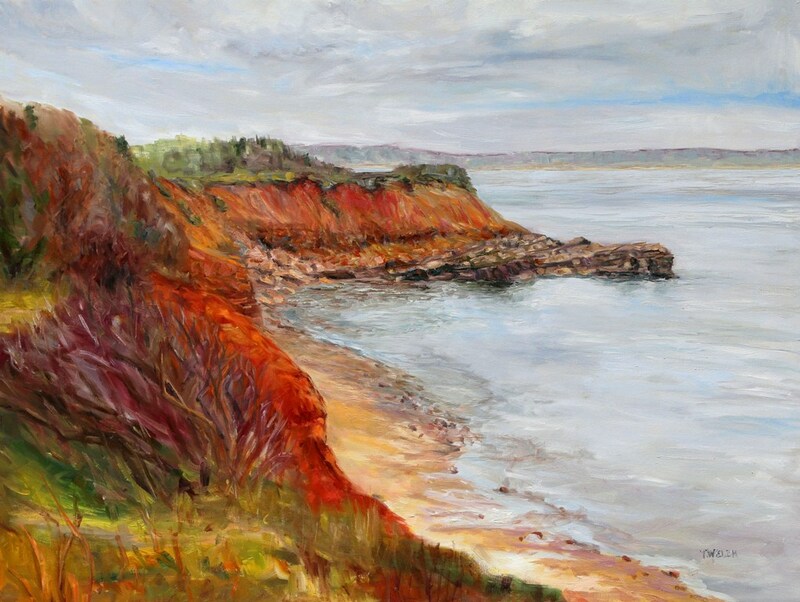 This show was juried by profession artist, curator’s, and the prize Judge is a staff Lecturer for Western Art at the Philadelphia Museum of Art. Holy Wow! I am still in high-five mode for you and your success in the juried show. Congratulations again! So keep swimming in the deep end Jeff you are doing fantastic! Terrill, I have an ancestor from Norway, too! From Brevik – he was a 19 year-old sailor and did well for himself here, becoming one of Cape Cod’s numerous sea captains of the mid-1800s. I think he may have been the black sheep of his family – he was the only one of his siblings to come..
Geese have been a problem here, too, at the municipal golf course. They “hired” a border collie who is happy as a clam to chase after them all day long so they won’t deposit their droppings on the grass! As far as it goes, it seems like a creative and humane solution to the problem, at least for a golf course. Barbara I have a feeling that North America is black sheep central which is only the product of stepping of the familial beaten path. Luck us I say! Yes there is nothing like a border collie who knows their job and has a job to do… sounds like a great solution.